Have a listen to my latest track ‘Omni’, created using Spitfire’s new LABS range of virtual instruments. I think it’s both inspiring and very generous of Spitfire to release these high quality tools for free and I’ve written an appraisal of the instruments I used in this track below. The first release for LABS and still my favourite. The soft piano, or felt piano as it’s sometimes called due to the effect created by placing a sheet of felt between the strings and hammers of the piano, is a very popular sound amongst electronic and ambient music producers, and has concurrently found its way into a lot of film music too. 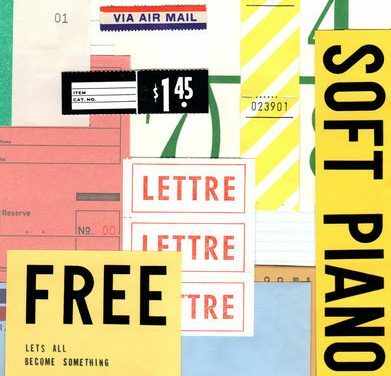 Personally I associate it with Jon Hopkins, Thomas Dvorak and Helios (Keith Kenniff) and the LABS Soft Piano delivers that sound brilliantly for when you want a more intimate touch to a track. My only misgiving is that very long notes that make use of the sustain pedal have some talking/background noise in them as they fade away which, after compression and other effects, could jump out unpleasantly, but it’s a minor issue with an otherwise fantastic offering for free. These have been very well recorded and come with a handful of articulations for short notes and variations on sustained notes. You can hear all of these in ‘Omni’ and they blend very nicely together. The expressiveness of these strings is a little limited without some volume automation, especially as LABS’ sparse interface offers no attack/release etc controls, but the actual samples themselves don’t come across as artificial at all and the clean starting sound gives a ton of flexibility. Again, really excellent individual sample quality with a whole kit including snare variations and rolls/flams, two toms, two crashes with a choke, and a nice ride sound too. I found I had to play around with note lengths in the MIDI editing to get cymbals to ring out in a desirable way and there’s no access to the individual aspects of the kit in LABS’ own player, but the all-in-one-box presentation and high audio quality made this a pleasure to use without worrying too much about processing individual drums. The kick sound is particularly hefty! I’ve actually started exclusively using this kit to put together pre-rehearsal demos for Neverbody because of how easy and fun it is. This is a really nice idea for a free instrument, taking a traditional orchestral section and pushing it hard through effects pedals and amplifiers, giving a harsh and industrial sound to something usually heard as more romantic and velvety. This one has multiple articulations, each with a lot of personality and an overdrive level that can be controlled with a mod wheel: ‘Chatter’ – a sort of tremelo/sul point mix that is great for a tense atonal texture; ‘Evil’ – fairly simple sustained notes; ‘Slide Up’ – as the name suggests, slides with an oppressive nasal sound; and ‘Wobbly’ which is more lyrical vibrato articulation. ACQ is very expressive and will fit perfectly in a dark or horror soundtrack, and gives me strong There Will Be Blood type vibes. I actually wish I’d given this instrument more of an outing in the demo, but I’m certain it’ll crop up in something of mine in the near future. Captures the vintage sound brilliantly, with options for both DI and a Chorus sound, I can’t see myself using another electric piano VST any time soon. Once again it’s been recorded really nicely and this time I actually quite like that the samples have a bit of authentic noise to them. In ‘Omni’ I mainly used it to add a shimmery compliment to the main piano melody, but don’t let that persuade you of anything other than this instrument’s versatility. It’ll slot right in to any funk, soul or R+B track, no problem. Also available is the Charango, an Andean guitar-like instrument, and a Choir which I believe is a simplified version of Spitfire’s recent release of their Eric Whitacre Choirs VST (which sounds gorgeous by the way). I’ve not used either of these yet, but I heartily recommend that you take a look at the LABS website and get downloading and using these and all of the LABS instruments straight away as they are hands down some of the best free instruments you can get right now. Next Post: I won the LABS X Eric Whitacre competition!